Comedy, in a classical Greek sense, tends to follow a particular pattern. The way this sense of comedy was explained to me is that a comedic story starts off in a “normal” place. Things are going okay for the characters. Something happens that the characters are adverse to. Things go from bad to worse until a certain event happens. This is the turning point. It happens in the latter half of the story, usually closer to the end. And typically, where the characters end up is far better than where they started in the story. 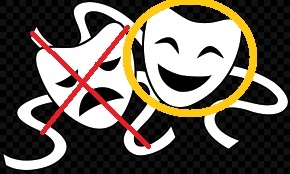 This direction creates a U shape for the plotting of the story, or as can be interpreted, a smile. A comedy turns in an unexpected direction, but in this shift, we discover we’ve ended with a smile. The outcome of the comedy leaves the characters in a better place, and hopefully those who’ve come along for the journey as well. I was reminded of this definition of comedy when I was listening to a comedian, who uses his comedy for godly purposes, named Michael Jr. With almost sermonic methodology, Michael Jr spoke before a church (which was recorded and uploaded to YouTube). Weaving his jokes in with the message he wanted to portray, he brought this sense of comedy out. Comedy, he says, is made up of two parts: a setup and a punchline. We use the setup to get people to move along in the direction that we want them to go. But then an unexpected change in that direction happens. This is the punchline. It happens at the end of the joke. And typically, it leaves a smile on our faces. The unexpected shift, hopefully, leaves us in a better place than where we were before. For Michael Jr’s point, he moved on the talk about God using our talents, resources, and opportunities as the setup for the punchline he has for lives. This includes the parts of our past that seem to be negative, like his learning disability, or my anxiety and depression, or what drives the lying voices in your life. They’re all used by God to drive others to an unexpected change which he uses for his glory and to leave us in a better (or perhaps, more effective) place than we were when we starting going along on this journey. You can probably see why I like this guy. However, this thought about comedy in general reminded me of the Divine Comedy we followers of Jesus get to experience. When God created the universe, he made it perfect. There was no flaw. However, the first humans used their God-given gift of free will to rebel against him. From this point, things went from bad to worse. Death and sin entered the world. Though God revealed himself to his creation, rebellion continued…and grew worse. Millennia of this descent continued until an unexpected thing happened. The Creator became creation. He used rebellion to bring about his purpose. To defeat death, he died. To overcome sin, he became like sin (the object of the Father’s wrath). Jesus sacrificed himself and the Father raised him as the punchline of the Divine Comedy that is human existence. Because of the punchline, we can have right relationship with God even though we’ve rebelled. This unexpected comedy brought through sacrificial death leaves any who follow along with its truth in a better place than where we started. And there will come a day when the fullness of the Kingdom of God is revealed in glory, when we who are followers of Jesus will be perfected with a smile of joy on our faces. Often, we fail to see the Divine Comedy when our focus is on the negative things. When the setup becomes the thing on which we orient ourselves, the punchline becomes lost. When we try to second guess the point of the setup, we miss out on the punchline. The setup isn’t the point. The sin, death, failure, rejection, and rebellion are meant to highlight the unexpected change God brings to our lives. 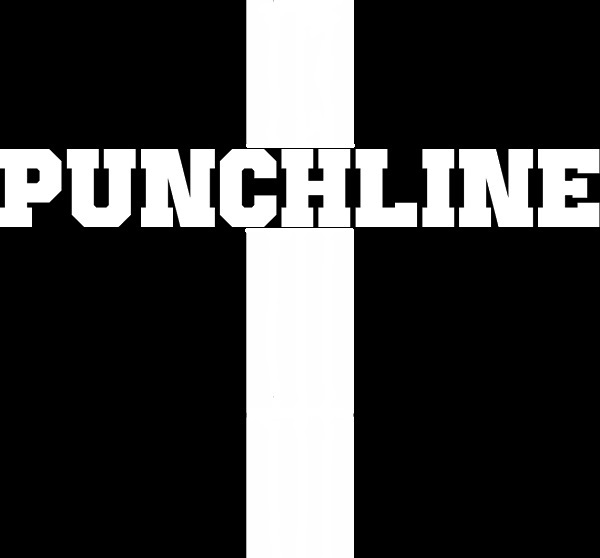 The punchline, the work of God in human existence, is the point. It is what brings about change in our lives.